Protect your family from the health effects of meth contamination. When you look for a new home do you ever think to yourself …. is this a healthy home? 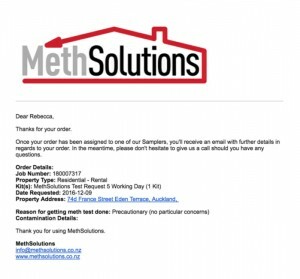 Meth contamination is generally invisible especially in properties that have been prepared for sale or a new rental. There is typically no odour so it is very easy to mask the smells of meth use. Even police officers, with years of experience and training, cannot always spot houses that have been used for meth manufacture or where meth use has occurred. This is why police rely upon laboratory meth testing. Why do I need a meth test? 2 reasons you should get a meth test on a property, before you purchase. The first and most important reason is for your health. There is no safe level of meth contamination. This is because everyone can be affected to different degrees. Children are at a significantly higher risk of experiencing symptoms compared to adults because their skin surface area is smaller, their respiratory rate is faster, they have hand-to-mouth and hand-to-eye activity, they play on the floor and have under-developed immune systems. Adults with compromised health such as auto immune diseases are also at greater risk. Another factor is the financial risk of buying a meth-contaminated property. It can cost $$ thousands of dollars to clean and reinstate a meth contaminated property. When buying a house, the owners are obliged to tell you about the presence of this Class A drug if they know about it! 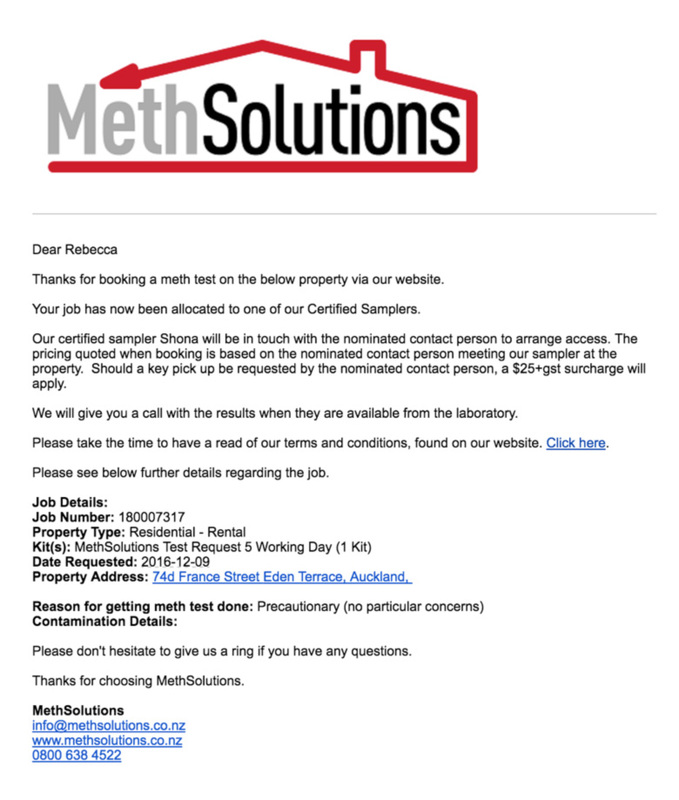 Some owners believe they do not need to disclose meth contamination if the level is less than the Meth Testing Standard NZS8510. There is no legal requirement for the current owners to get a meth test. 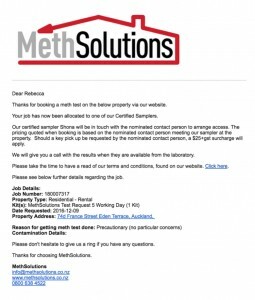 MethSolutions recommends you list a lab-based meth test as a condition on the Sale and Purchase agreement. The meth test result will help you to make an informed purchase decision. Your conveyancing solicitor can help you with a clause for the agreement. If the result is positive and a low level, you need to consider the impact this may have when you sell the property in the future and take this into consideration when making your offer. If the result is positive and a low level, you need to consider the current status of the property – has it been recent renovated / painted? 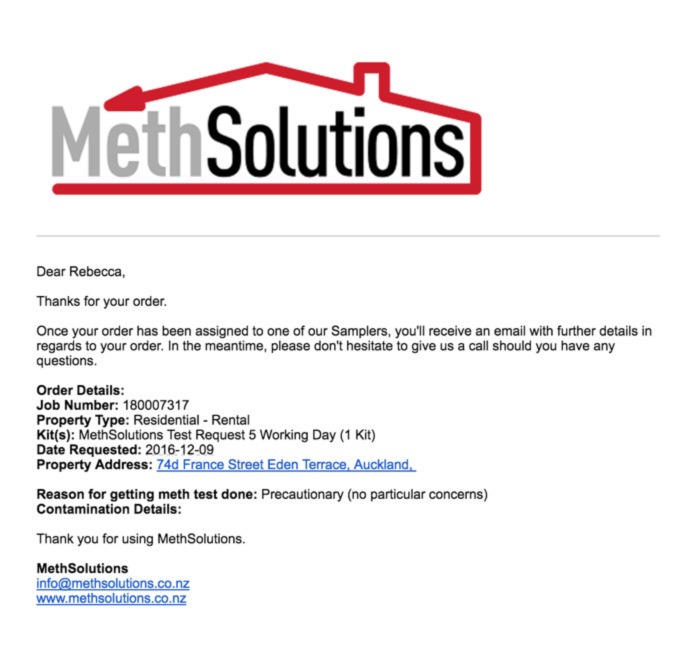 If the result is positive and a high level, you need to decide what is tolerance of meth in property, it may determine if you walk away or speak to the vendor and request further detailed testing to understand the extent of the problem, before making an informed decision. When buying your new family home, you’ll be spending hundreds of thousands of dollars, so the cost of a pre-purchase meth test is negligible. The value of engaging MethSolutions to do a meth test comes in the support and advice we provide to you if you get a positive meth test result. No home buyer should unwittingly buy a meth contaminated home! What happens when you book a meth test? You book a test and our automated system will confirm your order. You get an email to say we’ll be in touch when the job has been allocated to our Certified Sampler. Our Certified Sampler will contact your nominated person to arrange access to the property. Then you get another email when your job is assigned to a sampler to confirm. Once the tests are complete one of two possible outcomes will happen. If the samples return a positive result for meth residue, you will receive the report on the due date. We will phone you the next business day allowing you to have had a chance to read our report. During the phone call we will provide context around the result plus support and recommendations for next steps. If there is ‘no detectable meth’ in the samples taken in the property, we will send you an email with a confirmation report. 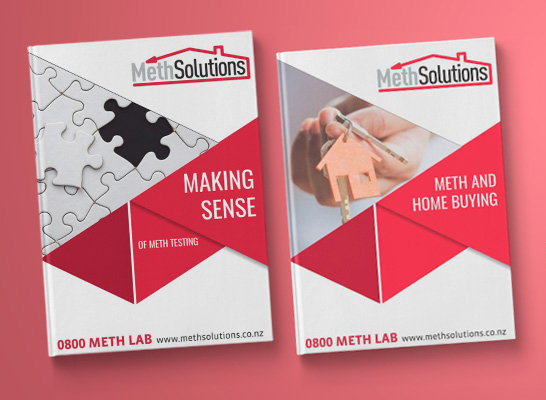 Get our free ebook Making Sense of Meth Testingwhich explains all the different types of meth test and which is suitable for you. Or if you are looking to buy a property Meth and Buying a House is a must read!